The situation over a reported chemical attack in the Syrian province of Idlib is gaining momentum. Despite the fact that it is still unclear whether the incident was a deliberate air-delivered chemical attack or an airstrike on a chemical weapons warehouse, some countries have already accused Damascus of using chemical weapons. In turn, the Syrian government has denied the allegations and blamed Syrian rebel groups. The UN and its Organization for the Prohibition of Chemical Weapons (OPCW) are in the process of gathering and analysing information from all available sources. On Tuesday, the Syrian National Coalition of Revolution and Opposition Forces (SNC) reported that some 80 people were killed and 200 others injured in a chemical weapons attack in Idlib. 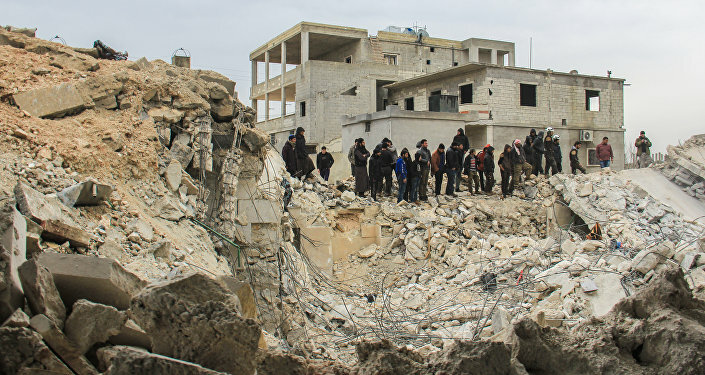 The opposition group blamed the Syrian army for the attack. Later, the Syrian Armed Forces command rejected the allegations, saying the responsibility for the attack lies with militants and their sponsors. If the information is confirmed the incident will be the deadliest chemical attack since a chlorine attack in the Damascus suburb of Ghouta in August 2013 killed from several hundreds to 1,500, according to different estimates. Following the Ghouta attack, Syria joined the Convention on the Prohibition of Chemical Weapons. This was the result of an agreement between Russia and the United States on the destruction of chemical weapons in the country under the control of the OPCW and it prevented a US military intervention in Syria. In January 2016, the OPCW said all the chemical weapons in Syria had been destroyed. On Wednesday, a number of US officials, including President Donald Trump accused Damascus of the Idlib attack. Trump said that the incident "crossed many lines" and "cannot be tolerated, adding that his attitude to Assad has changed. On Thursday, Kremlin spokesperson Dmitry Peskov said that the use of chemical weapons in Idlib was a "dangerous and monstrous crime" but warned from drawing premature conclusions about its perpetrators. Only terrorists and opponents of Syrian President Bashar Assad could have benefited from the Idlib chemical attack as the Syrian army is winning in all directions, Peskov noted. "There are forces that are working to de-legitimize the legal leadership of the Syrian Arab Republic, and there are terrorist forces and those who support terrorists," he said when asked who could have benefited from the Idlib attack. Russian Foreign Ministry spokeswoman Maria Zakharova said earlier that a US-Britain-France-backed draft resolution on the chemical weapons in Syria is based on fake reports mostly from the White Helmets and the Syrian Observatory for Human Rights (SOHR) "which cannot be called reliable." On Thursday, Russian Deputy Foreign Minister Sergey Ryabkov told journalists that Washington blames Damascus for the incident, without making in attempt to find out what really happened. "Their statements in Washington and during the UN Security Council meeting in New York do not inspire optimism because what we hear is blaming Damascus, even without a try to thoroughly examine the matter," Ryabkov pointed out. According to experts reached by Sputnik, the current situation around the incident in Idlib is part of a campaign to discredit the Syrian government led by President Assad. "The allegations against Damascus are based on statements by the SNC and the London-based SOHR which in fact do not have means to monitor the actual situation. Thus, the information is not confirmed by facts and evidence," Boris Dolgov, a senior analyst of the Institute for Oriental Studies, at the Russian Academy of Sciences, told Sputnik. According to Dolgov, the Syrian Army did not use chemical weapons because "it would be absurd to use them on its own territory and against civilians." He suggested that "this campaign of lies and propaganda" would continue. Meanwhile, Anatoly Tsyganok, head of the Russian Center for Military Prognosis, suggested that the most likely version is that Syrian forces might have conducted strikes on militants’ chemical weapons warehouse. 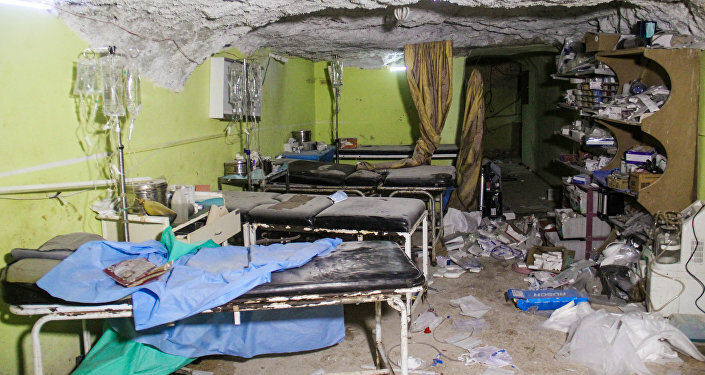 "I guess there’s no question that Syrian forces bombed a chemical weapons warehouse. Moreover, Russian intelligence has repeatedly reported that Daesh regularly moves chemical weapons to Syria," Tsyganok pointed out. The analyst pointed to the fact that chemical weapons were withdrawn from Syria with the assistance from the international community. "Moreover, the Syrian government provided all information on its chemical arsenals and their locations. But it is a well-known fact that Daesh smuggles chemical weapons to Syria from other countries," Tsyganok said. Both experts agreed that it is very difficult to find out the sources of chemical weapons and their components smuggled by Daesh in Syria. "There have been reports that that they are smuggled from Turkish territory and some other channels. Militants use chemical weapons [in Syria], which has been confirmed by Russian experts," Dolgov said. In an interview with Sputnik France, Gerard Bapt, a lawmaker from the Socialist Party and President of the French-Syrian Friendship Group, commented on the draft resolution on Syrian chemical weapons, recently submitted to the UN Security Council. "I think that premature conclusions have once again been made. 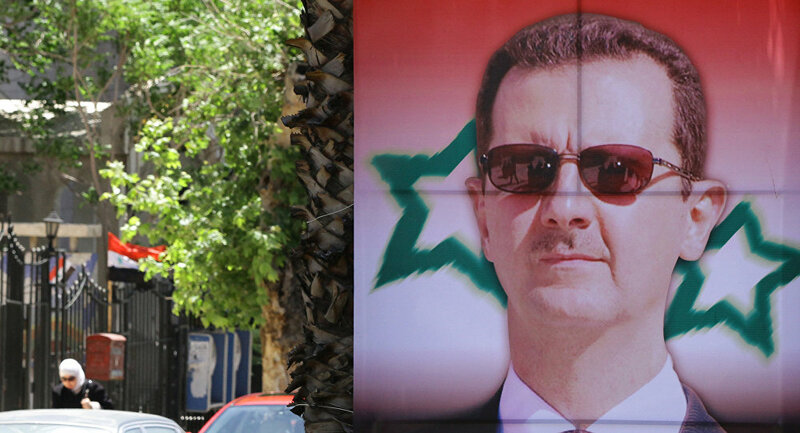 Damascus had no reason to fuel such a scandal prior to the upcoming intra-Syrian meeting in Brussels. The current situation looks much like propaganda against the Syrian government," Bapt noted. According to him, the incident in Idlib resembles the 2013 situation around the chemical attack in Ghouta. At the time, the incident was also used to discredit the Syrian government and President Assad. "A US commission investigated the Ghouta attack confirmed that the Syrian Army and rebels have nearly equal arsenals of chemical weapons. The Syrian government destroyed its arsenals. In theory, rebel forces might have chemical weapons now," the lawmaker said. Syrian lawmaker Halid al Abud told Sputnik Arabic that those fighting against the Syrian government are losing ground and such incidents are staged to "create the political opportunity to undermine Russia’s and Iran’s stance on Syria." "The incident in Idlib is another attempt to fight against the Syrian people. The attack was organized to discredit the government and create conditions for political pressure over Damascus," he said. "But if the Syrian government organized this attack, then the question raises: why it did not use it near Damascus, if it was convenient to the government and would cause a massive public outcry. The government cannot carry out such an attack so far [from Damascus]. In this context, I am sure that it was perpetrated by the enemies of Syria trying to promote a political war against the Syrian government," the lawmaker added.